Any review I compose of this brief collection of short stories is going to be colored by the horrendous formatting issues that the advanced reading copy presented on the Kindle. Each story’s title was missing and the spacing between paragraphs was irregular, sometimes a line break was present, other times not. The combination of these issues meant that stories would end and the next would begin without any visual clue. It therefore became exceedingly hard to tell if a new story had begun or not. Sometimes a change in style or voice made it clear, but the similar tone and themes of several of these stories made this annoyingly unclear. Despite these reading issues, the heart of the collection still was clear, dark and minimalistic much like the cinema I have seen from the Scandinavian countries. I read most of the stories here as falling within a common framework of the protagonist (mostly male) feeling lost. Each tale was filled with coffee, cigarettes, booze, and isolated walks as the character tried to regain a place in their life or relationships, find their bearings. In a way, the poor formatting accentuated this feeling for the reader, and may have influenced this personal interpretation of the stories. 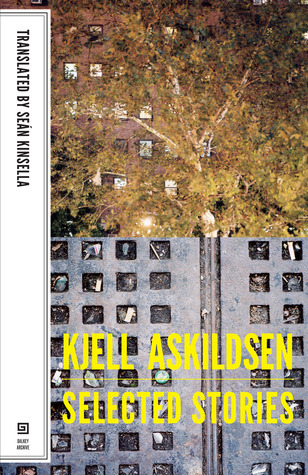 Most of Askildsen’s writing is understated, contrasting with the blunt simplicity of the sentences and words. Most sentences are short. They aren’t complex. And simple facts are stated. Yet, beneath this almost droning mindless simplicity lurks a real sense of foreboding and menacing, and at times horrific events and actual death or loss or subtly hidden even within the forthright simplicity of the grammar and structure. This is something I’d want to reread in actual hardcopy form, the electronic doesn’t really do justice to the atmosphere of the stories. I want to smell the pages as I read them each. Or at least have better formatting. Though the experience was more like three stars, it definitely grew on me as I read more of this, and it certainly has compelled a curiosity to read more by the author, so a curve to four I believe is reasonable in light of the technical snafu. Hence the unavoidable and unfortunate caveat for this title: a reread could conceivably lead to a shift in the star ratings in either direction.